Yesterday on Spanish-language Buzzfeed I read: "I'm going to fall in love with summer and see if it'll leave me, too." I'll blame it on the heat, too. Our heat is much higher than yours. Try 35ºC for days and weeks on end. Our highest this year has been 42ºC. Highest I've ever known, 53º for 4 days, in 2008 I think it was. 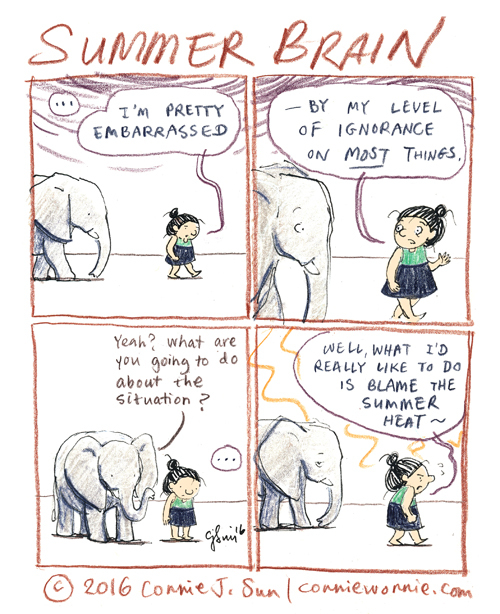 I am in NY and I agree with Summer Brain diagnosis, as I have it too.